Four Hobbs & Shaw Character Posters Released! Universal Pictures has released four character posters for the forthcoming spin-off film Fast & Furious Presents: Hobbs & Shaw. Featuring Dwayne Johnson as Luke Hobbs, Jason Statham as Deckard Shaw, Idris Elba as Brixton Lore, and Vanessa Kirby as Hattie Shaw, you can check them out in the gallery below! The film speeds into theaters this August 2. The film will follow Dwayne Johnson’s Diplomatic Security Service agent Luke Hobbs and Jason Statham’s assassin Deckard Shaw. The spin-off features a script from Chris Morgan, who has worked on the franchise since Tokyo Drift in 2006. Johnson’s Hobbs first appeared in 2011’s Fast Five and has appeared in each Fast & Furious film since then, with Statham’s Shaw making his debut in a post-credit scene during 2013’s Fast Six and serving as the main antagonist of Furious 7 with an appearance in The Fate of the Furious as well. The upcoming spin-off is a separate film from the in-development ninth and tenth films in the series. Fast & Furious 9 will be released on April 10, 2020 with Fast & Furious 10 set to conclude the series on April 2, 2021. Johnson will produce alongside Dany Garcia and Hiram Garcia through Seven Bucks Productions. Statham, Neal H. Moritz for Original Film, and Chris Morgan for his eponymous production company will also produce, with executive producers Kelly McCormick, Steve Chasman, Amanda Lewis, Ainsley Davies, and Ethan Smith. 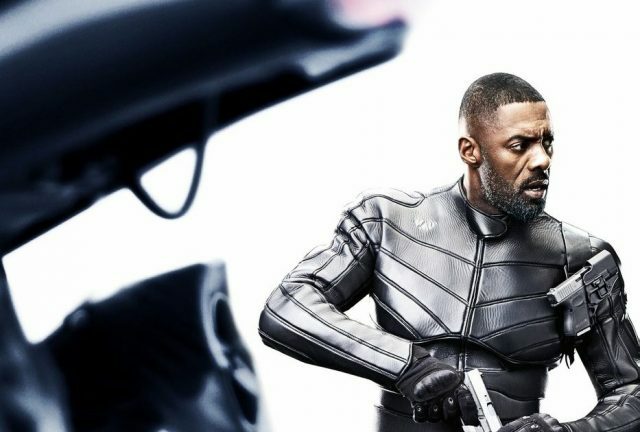 In addition to Johnson and Statham, Vanessa Kirby (The Crown), Eiza Gonzalez (Baby Driver), Eddie Marsan and Idris Elba (The Dark Tower, Avengers: Infinity War) will be playing the film’s villain. The post Four Hobbs & Shaw Character Posters Released! appeared first on ComingSoon.net.